Ed Hubert (1942-2017) was a very successful businessman who spent his entire career working alongside his family to grow the Hubert Company. He joked that he began his career sweeping floors at the age of eight and didn’t stop until the company was sold in 2000. While Ed built the business, Joann built the Hubert family; caring for their three children, and her aged mother, and still finding time to give back to the community. The couple has always believed in sharing their time, talent and treasure and has supported many worthy causes over the years. However, their connection to St. Vincent de Paul has a deeper significance. Around the turn of the 20th century, Ed’s grandmother emigrated to Cincinnati. She was 14, didn’t speak English and made the journey alone from Budapest. Some years later, she was married with three small children when her husband became ill. They didn’t have money for food, and St. Vincent de Paul – Cincinnati was there to help. Ed’s father remembered volunteers from St. Vincent de Paul coming to their house with bags of potatoes and onions; keeping the family from going hungry. Last fall, the couple decided to make a transformational gift to the Upward Spiral Campaign. This pledge took on even deeper meaning after Ed’s unexpected passing in December. “I wanted this gift to honor Ed,” Joann said through tears. In early January, Joann and her three children hand-delivered their contribution. 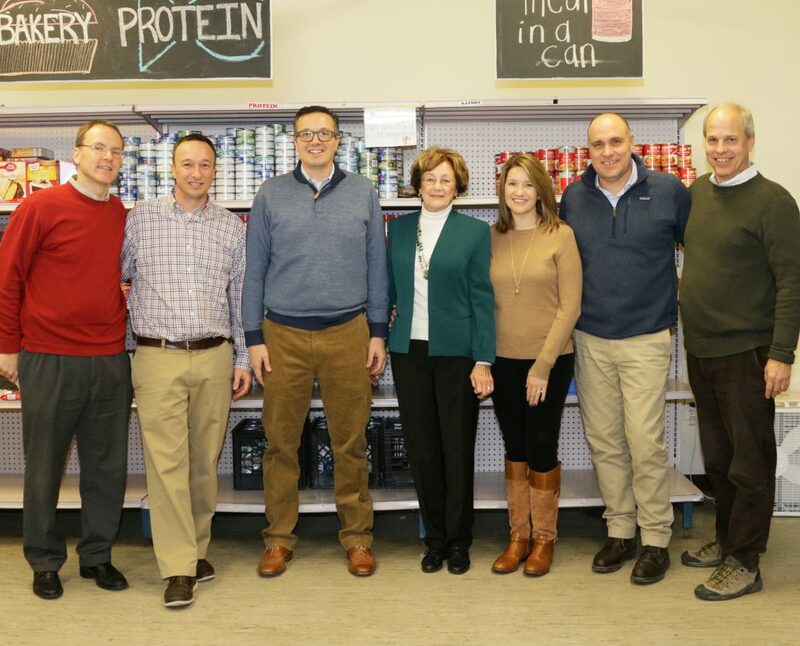 Standing together in the food pantry, they lingered for nearly an hour, alternating between laughter and tears as they shared stories about Ed and talked about what a fitting legacy this gift was. They also talked about ways to begin getting Ed and Joann’s grandchildren involved with St. Vincent de Paul. Ed Hubert’s grandmother found the help she needed at St. Vincent de Paul. Now, generations later, the family remains committed to supporting the organization.